Bpi test : Ras. . . The Chinese traditional Spring Festival is coming. We will have vacation from 10th , February to 22th, February, we will back to work on 23th, February. Kindly note that your emails can be received normally, but will be handled after we back to work. If urgent, please call the related staff. 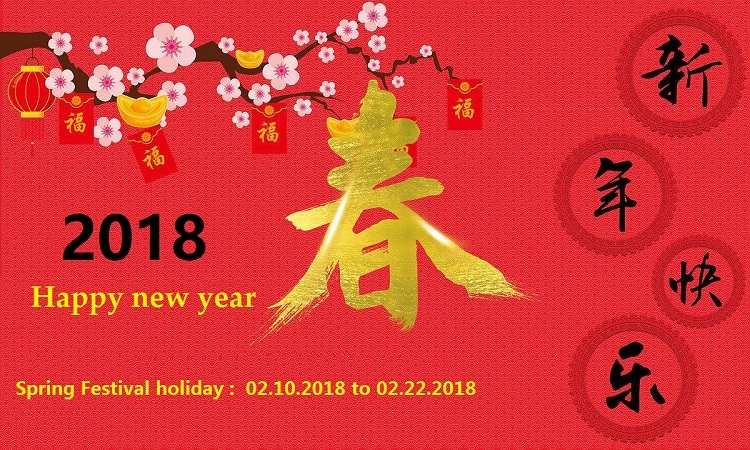 And if any needs of the products in recent days, kindly suggest finish the order before 9th, February, then we can prepare the products for you before our holiday, thank you! The best Wishes to you and your dear family!